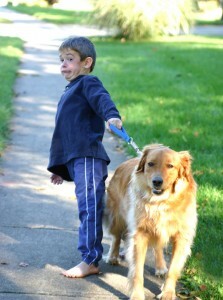 Home Home Care Tips Is the “Neighbor Boy” a Licensed, Bonded & Insured Professional Pet Sitter? Is your pet sitter insured and bonded? He or she should be. Most pet owners know that the benefits of leaving pets at home are numerous. Pets are happier and experience less stress at home; diet and exercise routines are uninterrupted, and a pet’s exposure to illness is minimized. Because of these factors, the pet-sitting industry has experienced tremendous growth in recent years. If you are considering using a pet sitter for the first time proof of insurance coverage should be verified before the house keys are turned over to a virtual stranger. The general public typically adheres to the fact that service contractors of this sort should maintain general liability insurance to cover any claims that may arise, and many people will usually request a certificate of insurance that shows proof of liability coverage. This is astonishing, due to the fact that a pet sitter typically has more unsupervised access to the home and for much longer periods of time than any other type of service contractor. In addition, a pet sitter has the additional responsibility of protecting the owner against possible injury to other people and property when the pets are taken off the premises. • A pet owner contracts a friend’s teenage son to take care of his dog and pick up the mail while he is on vacation. When he comes home, the house and backyard are littered with beer bottles and cigarettes. The carpeting inside is stained, and the hardwood floor has burn marks where people have obviously put out cigarettes. The furniture and contents of the home are in total disarray. • Pet owners contract a pet sitter to take care of their 7-month-old black Lab that is known to chew and is also scared of thunderstorms. The sitter is instructed to keep the dog crated, but only at night while in the home. Unfortunately, the sitter neglects to put the dog back in the crate one night and a thunderstorm rolls through. When the sitter arrives the next morning, an expensive couch and Persian rug are completely destroyed. The dog has also “pottied” in several places throughout the home. • Upon returning from vacation, a client notices that she is missing several items from her home, including jewelry, a television, a DVD player and all prescription medications from her medicine cabinet. When she attempts to contact the pet sitter, she finds he has left the area. • A pet owner instructs her pet sitter to walk her dog daily in the local park, but to keep the dog leashed at all times as the dog is known to jump on people. While at the park, the sitter decides to play Frisbee with the dog. When returning with the Frisbee, the dog sees a couple that has stopped to talk to the sitter. The dog lunges up and knocks the lady down, causing her to tear ligaments in her knee. All of these examples are actually insurance claims! Next PostDon’t Try This at Home!! !